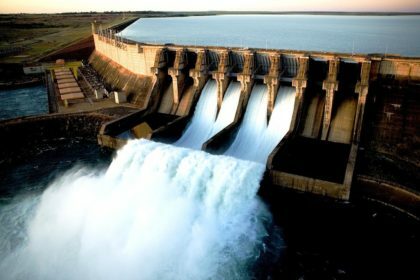 The Africa Finance Corporation (AFC) has approved a bridge loan facility of $170 million for the construction of the 44 MW Singrobo-Ahouaty hydropower projects in Côte d’Ivoire. The deal was concluded in mid-December, when a first disbursement was made for the project, in which the AFC has also invested equity. “As our first equity investment in hydro Independent Power Producer (“IPP”) and our first power equity investment in a Francophone country, the project is an optimal step in diversifying AFC’s power portfolio,” Oliver Andrews, Executive Director & Chief Investment Officer of AFC said. Other shareholders include Themis, a project development company, and IHE Holding, a company incorporated by Ekolan Alain Etty, a local entrepreneur. The Singrobo-Ahouaty hydropower will be built by Eiffage, a leading French EPC contractor, selected following an international competitive bidding. The world’s number one cocoa producer has an installed generation capacity of 2,200 megawatts and exports to neighboring countries such as Ghana, Burkina Faso and Liberia. Last year, Côte d’Ivoire said it signed an agreement with France’s Eranove SA for the construction of a thermal-power plant with a capacity of 390 megawatts. The gas-fired Atinkou plant, which will cost 248 billion CFA francs ($431 million), is to be based in Jacqueville, 61 km southwest of the economic capital, Abidjan, according to a statement from the company.